MOVE OVER FROZEN YOGURT, THERE IS A NEW WAVE COMING! 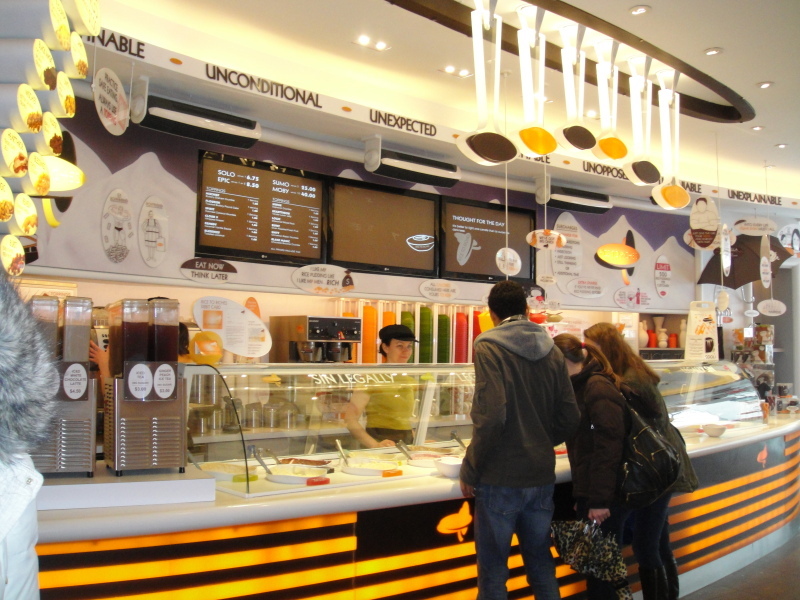 In and around Los Angeles, you see hundreds of frozen yogurt places everywhere. 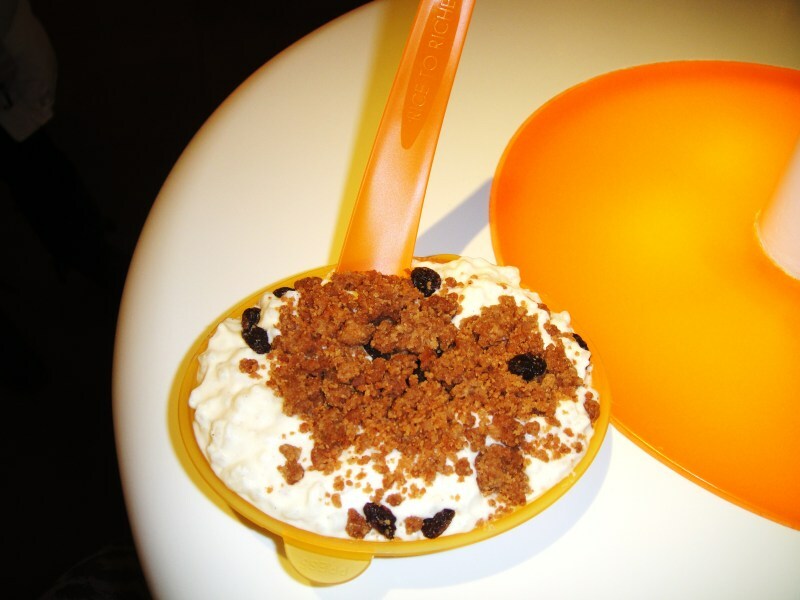 “Fro-yo” blew up the scene a couple years ago, and became trendy spots for a sweet treat anytime of the day. Frozen Yogurt became so popular in LA because all the skinny people could enjoy it without feeling guilty lol, because most Frozen Yogurt places serve NON-FAT yogurt. Therefore, this delicious low-calorie treat became popular among many. It’s also fun because of the many different combinations you can create from yogurt flavors and candy/fruit toppings. But in New York City, it’s not frozen yogurt that’s popular. It’s RICE PUDDING! Rice pudding places have been popping up everywhere in NYC, and it’s replacing the “Fro-Yo” craze. 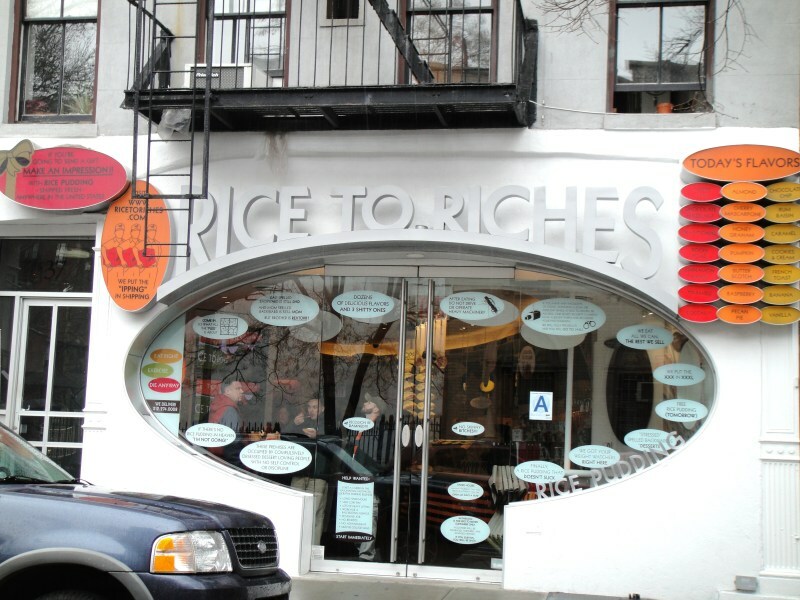 The most popular and famous rice pudding place in the city is a place called RICE TO RICHES. Inside this place looks like an ice-cream shop with all different kinds of rice pudding flavors, and a wall of yummy toppings to choose from. I had fun sampling all the different and unique flavors- my favorites were “French Toast”, “Cookie’s and Cream” and the regular “Vanilla”. I decided to order the Vanilla rice pudding, with graham cracker cookie crumble and brown sugar with raisins as a topping. Let met me just tell you, it was AMAZING. 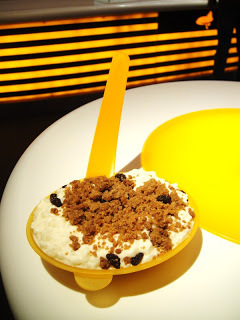 It’s served in a plastic “UFO” looking saucer with weird spoons—the whole theme of the place is cool- it has a “futuristic” and trendy vibe which was unique. A little pricey though. it was $6.75 for a SMALL, but it’s practically a meal, so it was worth it to me. Some people have an issue with the consistency of rice pudding because it’s chunky and cottage cheese looking lol, (and I HATE cottage cheese! ), but this tasty dessert is unique and incredible. I loved the combination of the vanilla pudding with my graham cracker/cinnamon tasting topping. It was a great combination. I would order that exact combo again. You can also have this treat for breakfast, lunch, dinner or dessert because there is such a variety of flavors and toppings. place is the bomb, so good. can’t wait to go back to NYC and stop in there.